The SAL Championship Series is now 1-1. LEXINGTON, KY - Jackson Kowar threw five scoreless innings as Lexington leveled the SAL Championship Series at one game apiece, topping Lakewood 5-2 on Tuesday night at Whitaker Bank Ballpark. Kowar gave up two hits and one walk while striking out five to earn his second win in as many starts this post-season. Rodolfo Duran homered for Lakewood off Janser Lara in the eighth inning to pull the BlueClaws within 5-2, but one day after coming from 5-0 down in the ninth, there would be no comeback for the BlueClaws tonight. MJ Melendez hit an opposite field home run over the left field wall to put the Legends up 1-0 in the first. They added a run off Kyle Young in the fourth on a fielder's choice groundout from Brewer Hicklen to take a 2-0 lead. Young, who took the loss, gave up two runs in four innings in his first playoff start. After Kowar came out after five, Lexington turned to Marcelo Martinez. 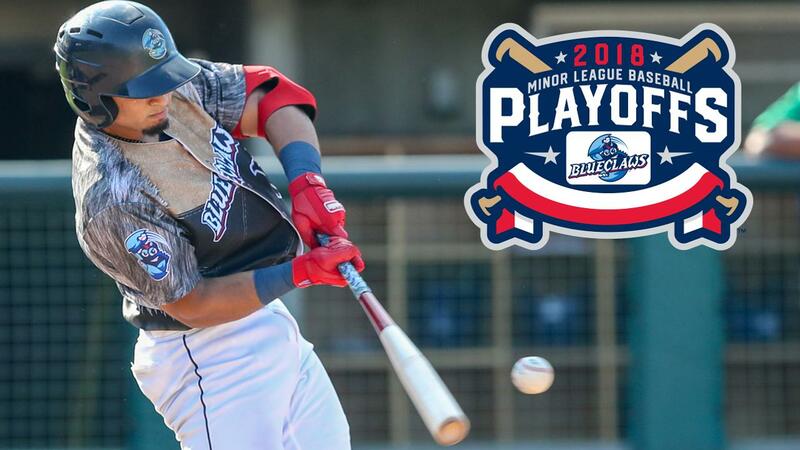 Despite allowing the lead-off man to reach base in both the sixth and the seventh innings, the BlueClaws couldn't advance either runner into scoring position. Lexington added three more runs in the seventh, all charged to Julian Garcia, and all with two outs. MJ Melendez's RBI single made it 3-0 and Kyle Isbel then scored on a wild pitch. Nick Pratto followed with an RBI single to put Lexington up 5-0. Kyle Isbel, Melendez, and Nick Pratto, the 1-2-3- hitters in the Lexington lineup, each had two hits in the win. Jhailyn Ortiz had two hits for the BlueClaws. The series returns to FirstEnergy Park on Thursday night for Game Three. RHP Andrew Brown (6-3) starts for Lakewood opposite LHP Daniel Lynch (5-1).